For all of you in the U.S., no doubt your feeds are filling up with your friends showing off their "I Voted" stickers (and if they're not, uh, better get some new friends). But are their stickers as cool as the ones from Alaska? 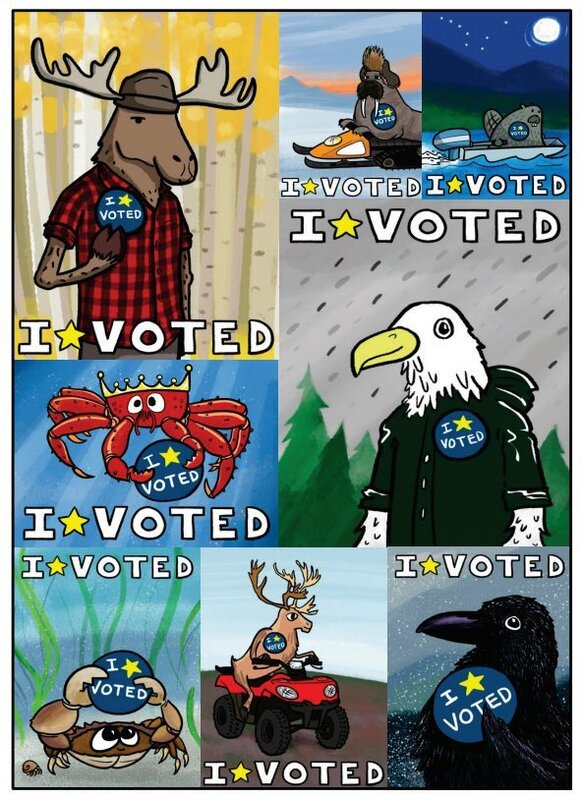 Artist Pat Race of Juneau was hired to design these little "I Voted" beauties for the State of Alaska Division of Elections. Race's pro-voting animals not only appeared on the Land of the Midnight Sun's stickers but also on their Official Election Pamphlets. Prints of the designs are available directly from the artist. Prices start at $10.